FastCopy is a file copy and synchronization tool with a variety of available extras. It uses different strategies (multi-threading, buffering) to help ensure maximum device throughput, as well as optional verification to make sure data is transferred correctly. It does not use the system cache, so other processes do not get bogged down during the copy process and a speed setting is also available, including pause. It supports Unix-style include/exclude wildcards filters. Alternatively, PortableApps.com's FastCopy Portable available. Judy: could you post a screenshot in forums? The dev sometimes checks in on our site. @webfork: FC 3.60 - please update 'How to extract' section - zip package is not available anymore. JudyGarland - What about that low level access in ver.3.54? Was it doing anything bad? 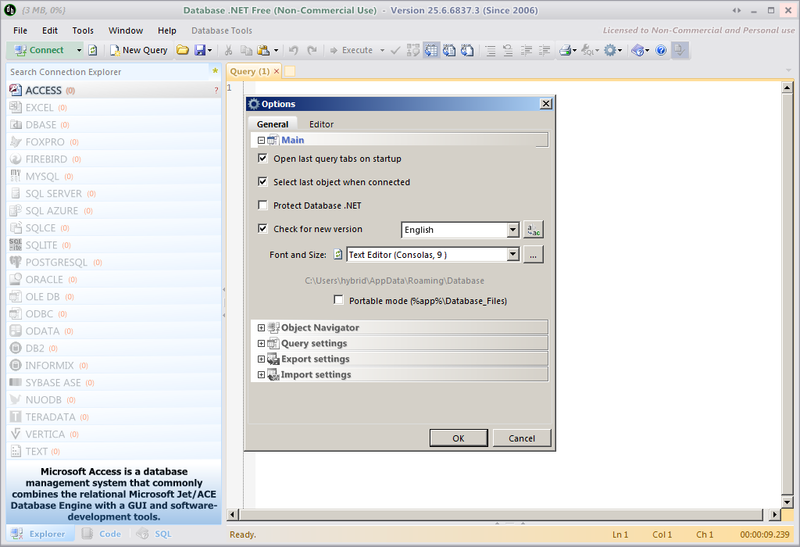 Database .NET is a powerful and intuitive multiple database management tool. The program allows the administration of local or remote databases to browse objects, design tables, edit rows, export data, create new databases and run queries with a consistent interface. 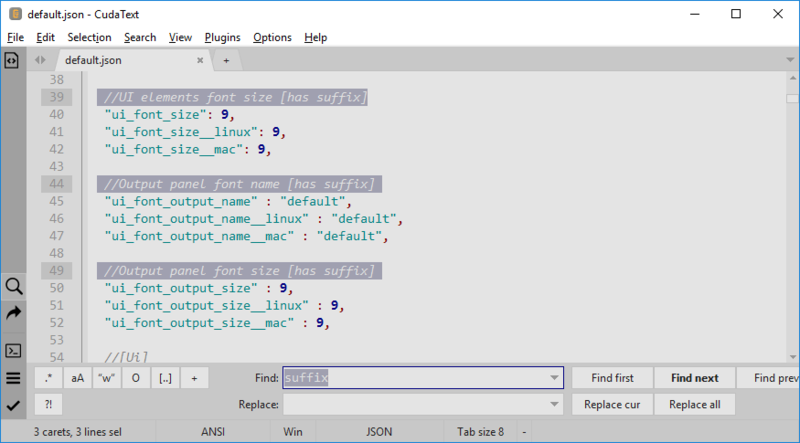 The program includes table/data editor, index editor, syntax highlighting, SQL profiler, code manager and multiple query tabs. Supported databases include SQL Server, SQL Azure, Firebird, SQLite, MySQL, PostgreSQL, Oracle, IBM DB2 and Informix, Sybase ASE, MS Access and Excel, dBase IV, FoxPro, Data Sources, ODBC DSN and OData. Can export to CSV, XML, TXT, XLS, or SQL Print Query Results. Stealth: ? No. Creates an empty registry key [HKCU\Software\VB and VBA Program Settings\fishDatabase]. Select "Portable mode" under "Tools->Options->General"
What's new? See Chinese changelog here. I like it allot, it is just what I have been looking for. The interface is like MS Management Studio but better. My experience with support was great, I sent in a question via e-mail and received an answer in under 15 minutes. I HIGHLY recommend it especially to anyone who likes working with Management Studio.